Pied à Terre, a Michelin-Starred London restaurant, is pleased to announce its new Artclub. 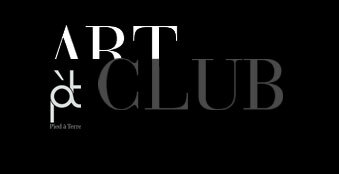 The club is a membership concierge art service specializing in the sale of signed and numbered limited edition prints and has been organized by Harvey Bayer who has worked as an art dealer and advisor as well as a print publisher for more than 30 years. His experience and relationships with galleries and artists both in the UK and internationally gives Artclub Members access to a vast range of work. The Pied à Terre Artclub offers an extensive collection of international work and represents some of the most important print publishers in the world. We offer prints from Pace Editions, New York, Parasol Press, Oregon, Crown Point Press, San Francisco, World House Editions, Connecticut and from ateliers in Europe including Berardinelliarte, Lelong, Stoney Road Press and Poligrapha. In addition we will work closely with artists who self-publish such as Tim Maguire an internationally aclaimed Australian artist who lives in the United Kingdom. The Artclub will have a number of exhibitions a year at two sites in London.